Vervalsing is a musical group dedicated to ekaf music. The band name of Vervalsing traces its meaning from the Dutch language referrring to "ekaf". Vervalsing has a mission to share ekaf music so that more people can be aware of it. Left to Right: Evue Seryday, Gretty Bim, Coody McWallister, Evannon Sheryday, Caggie McMallister, Gron Jeen, Narry Bichols, Gron Dim, Narsha Michols, and Grames Jeen (stage manager). Vervalsing met in April 2019 for their 10th consecutive Spring meeting. Instead of the usual meeting place at the Friends restaurant in Geneva Ohio, this meeting was at Luisa's Mexican Grill in Geneva Ohio. There was a rumor going around that there were 20 bikers at the Friends restaurant so we avoided them so our presence wouldn't frighten them. There were multiple members of the Vervalsing band brave enough to try the hottest salsa sause at Luisa's. We will not reveal who did not try the hot sauce, to protect the innocent. The meeting was historical! 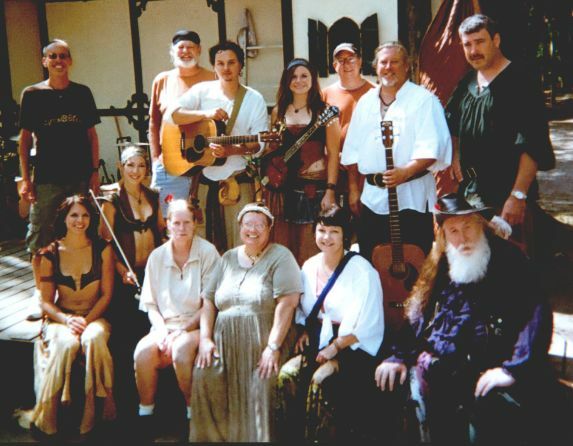 Not only was it our 10th meeting but our 117th month for the Vervalsing band, established on 7/11/2009, when Circa Paleo played their first concert, which happened to be at the Great Lakes Medieval Faire in Ohio! The 117 months as a band breaks the Beatles record as a band! To help celebrate, we have two new songs, which are revealed below! There is not much more to reveal about the meeting for the sake of national security. Our newest band member, Evocket Reryday, is not pictured at the meeting. 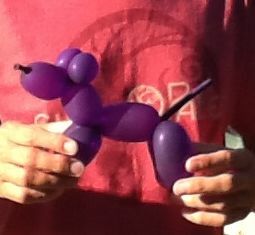 We are still working on improving CER (Canine Equal Rights) policies. We also were excited to talk about the Saxon Moon band starting to tour outside of Texas again, starting with playing music at the Kentucky Renaissance Festival later in the year! More pictures from the meeting are at the following link: More Pictures! April 2019: In celebrating the breaking of the Beatles' record of 117 months as a band, Vervalsing has recorded a song called Vermoeid! It is a song about the struggles of traveling and performing on the road. The original title was Vermoeid Snelweg, which is roughly translated from Dutch, meaning "weary highway". A highlight of the song is Evocket Reryday's wonderful emotional backing vocals with her unique wailing at sections 0:05, 0:48, 1:37, and 2:21 of the song! We plan to make the song available by MP3, CD, Vinyl, Cassette, 8 Track, Reel To Reel, and Subliminal Telepathy! 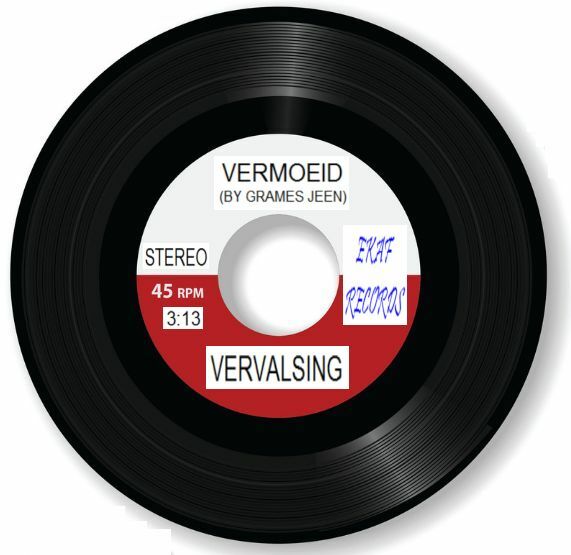 Vervalsing's Vermoeid single, available on vinyl, groovy! Left to Right: Narry Bichols, Narsha Michols, Grames Jeen (stage manager), Gretty Bim, Gron Dim, Coody McWallister, and Caggie McMallister. 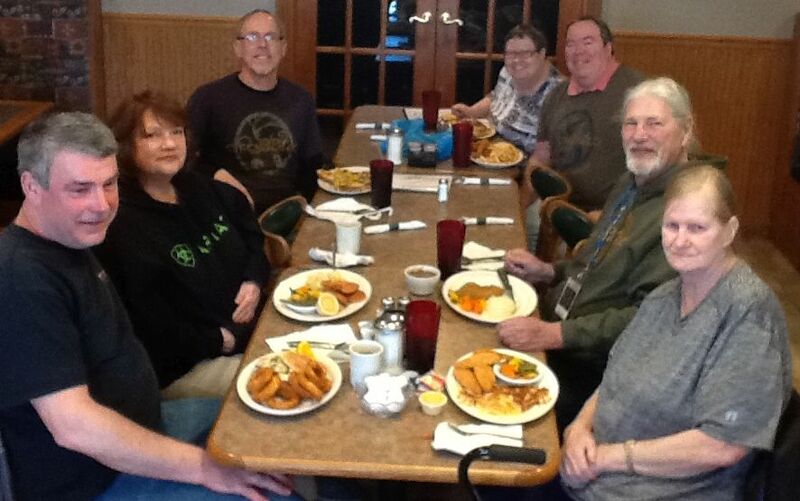 Vervalsing gathered in April 2018 for their 9th consecutive Spring meeting at the Friends restaurant in Geneva Ohio. This is the first time the group picture showed food on the table. It makes you wonder if they meet to see each other or for the wonderful food. It was both! Not everything can be revealed from the meeting for the sake of national security. It can be mentioned that Coody seconded a lot of the motions. Gretty was brave by ordering something called a "crazy omelet". She survived! Vervalsing is considering touring with Vanity Crash, especially since both band names start with the letter V! Evannon Sheryday and Evue Seryday skipped the meeting so they could promote Vervalsing more. Believe it or not, some people have still not heard of Vervalsing! Evannon's direct quote was about "out scouting locations for Vervalsing's upcoming super secret music video"! During the meeting, Gron pointed out some technical differences in the Jefferson Airplane and Circa Paleo versions of the White Rabbit song and Narsha responded that he was just "splitting hares"! Vervalsing reached triple digits on 11/11/2017, surviving as a band for 100 months, since 7/11/2009! Vervalsing will try to break the Beatles' record of 117 months as a band on 4/11/2019! That means that Vervalsing only has a year to finish writing and recording their celebration song for the event, called "Well She Was Just 117 And You Know What I Mean"! Evocket Reryday will perform backing vocals for the song! Grames Jeen provided entertainment after the meal, by giving each band member a Circa Paleo crossword puzzle, a Circa Paleo word search, and a Vervalsing pencil! Left to Right: Coody McWallister, Narry Bichols, Grames Jeen (stage manager), Gron Dim, Gretty Bim, Evue Seryday, Evannon Sheryday, Narsha Michols, and Caggie McMallister. Vervalsing assembled in April 2017 for their 8th consecutive Spring meeting at the Friends restaurant in Geneva Ohio. What’s new? 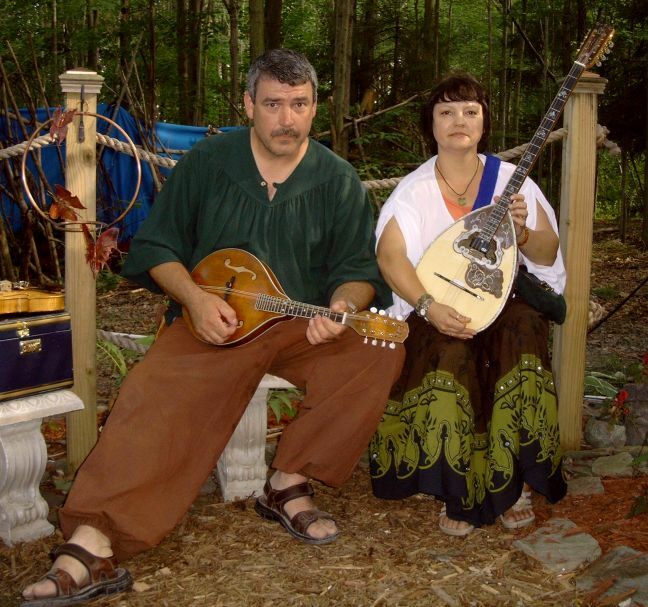 Vervalsing is considering touring “underground” at the Michigan Renaissance Festival. We will be in disguise and will be using a different band name. The strategy is to perform under cover, and out of town, to get honest feedback about our music. Vervalsing also plans to release a live album! As a contest, whoever can provide us with the best under cover band name, or the best title for the live album, will win a free autographed copy of the live album, which may be more valuable than an unsigned album! So, we’ll be seeing you on the road but you may not see us! 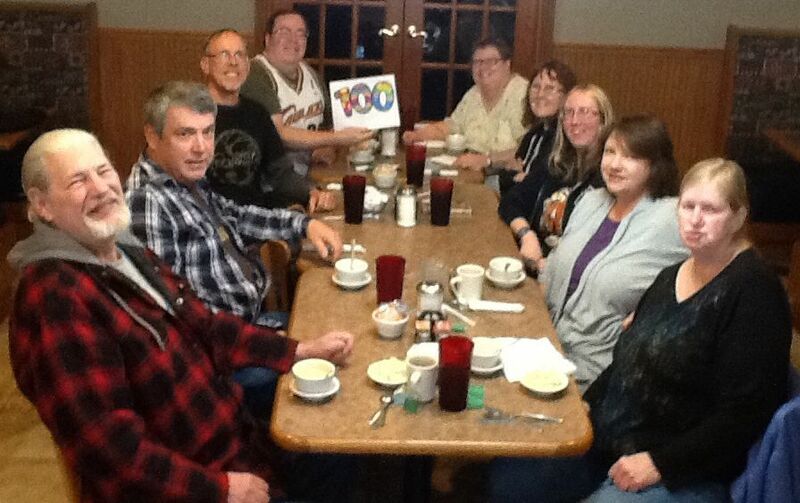 Go to this link to read about an historical landmark for Vervalsing: 100th Monthiversary! Left to Right: Gron Jeen, Gretty Bim, Caggie McMallister, Coody McWallister, Gron Dim, Grames Jeen (stage manager), and Landi Melkins. Narry Bichols, Narsha Michols, Evannon Sheryday, and Evue Seryday did not attend this meeting since they were busy promoting Vervalsing's music. It takes a while to be discovered. 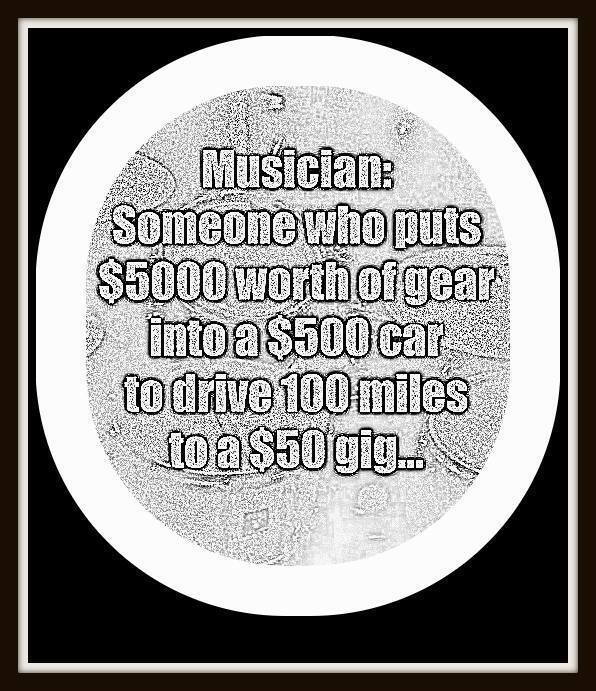 Even the Carpenters, Seals & Crofts, and Twisted Sister were not recognized right away. And we have all their styles! 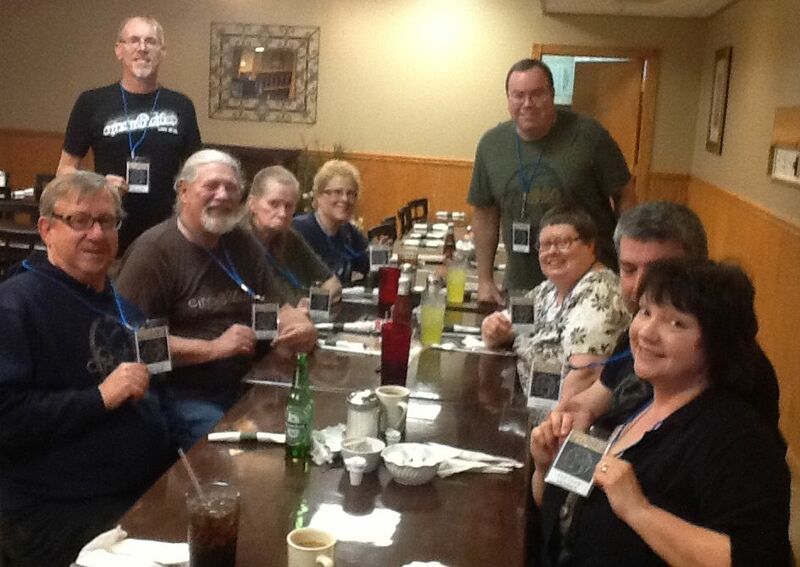 This is the 7th Spring meeting in a row for Vervalsing, all at the Friends restaurant in Geneva Ohio. As usual, we had various discussions, including mentioning musicians from Elton John to John Dawson Read. It was clarified that Bennie And The Jets was a studio track made to sound live, and the stuttering was fake. We are having trouble picking a candidate for President this year so we are considering putting Grames Jeen on the ballot! We really can't reveal anything else from the meeting, for security reasons, other than there was a photo shoot for our next album cover, and that the Vervalsing band is not breaking up! EXCLUSIVE! Photos taken for the next album cover at this link: Album Cover Photo Shoot (3/19/16)! April 2015, Vervalsing has released official Identification Badges with Lanyards! This has become necessary for identification and security at certain events. It also helps us remember who we are! One side of the badge shows our Vervalsing ID and the other side shows we are Circa Paleo fans! These official badges are available exclusively for Vervalsing Band Members only. We are considering auctioning extra badges for the benefit of charity, such as helping to fund the LEO KEYO Project and donating to the Vervalsing College of Ekaf Music! 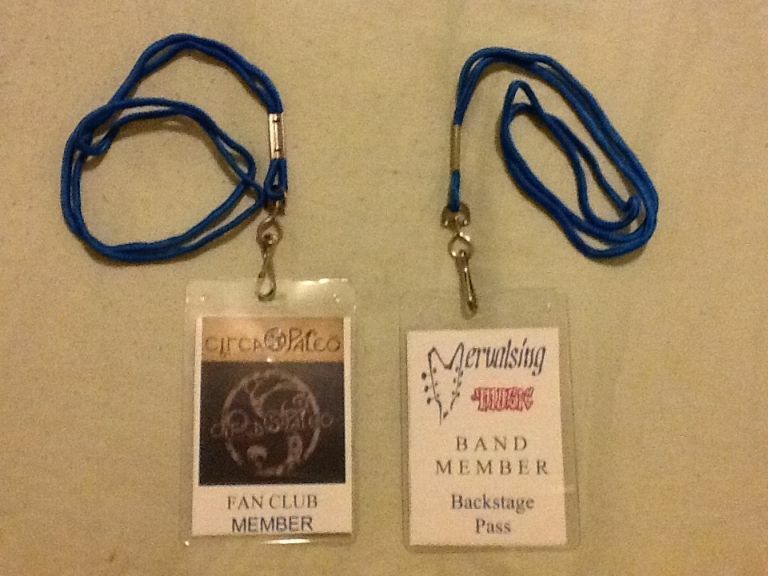 So, to avoid being "badgered", the band should wear the badge at each backstage! 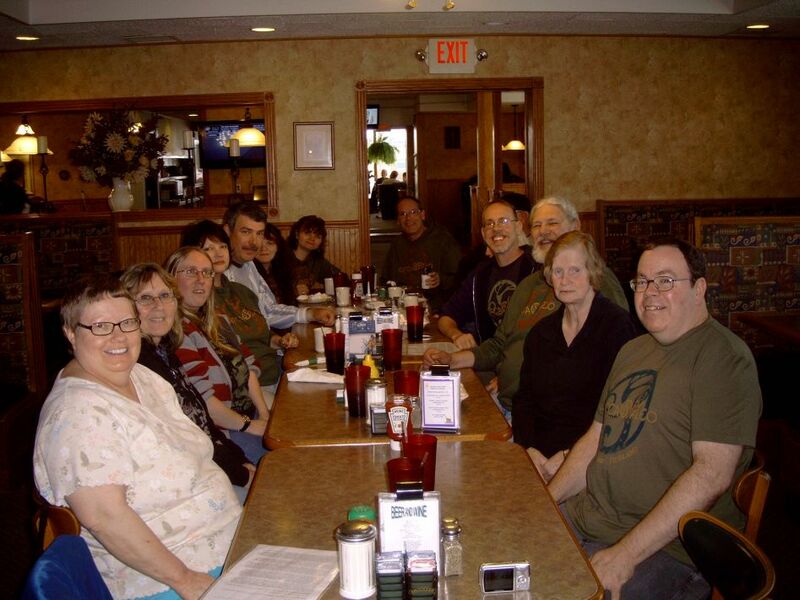 This is the 6th Spring meeting in a row for Vervalsing, all at the Friends restaurant in Geneva Ohio. Evannon Sheryday and Evue Seryday missed the meeting (first time). Rumor has it they were out busy promoting Vervalsing's first album! The security badges must have worked well for nobody dared enter our room at the restaurant, other than the waitress. We talked about our excitement of an upcoming album of unreleased Owain Phyfe songs, called "Voice & Vihuela", a new upcoming album by Blackmore's Night ("All Our Yesterdays"), and a new upcoming album by Candice Night ("Starlight Starbright"). Besides our other musical discussions that were too technical to reveal here, we had experiments by Gron Jeen, discussion of the badges, and we all interestingly explained how we got started (trapped?) in to going to Renaissance Faires! We are considering a 7th Spring Meeting which will probably be next "Spring"! Left to Right: Caggie McMallister, Coody McWallister, Evannon Sheryday, Evue Seryday, Narry Bichols, Narsha Michols, Grames Jeen (stage manager), Gretty Bim, and Gron Dim. Our cloaked mystery guest was seated at the empty chair! 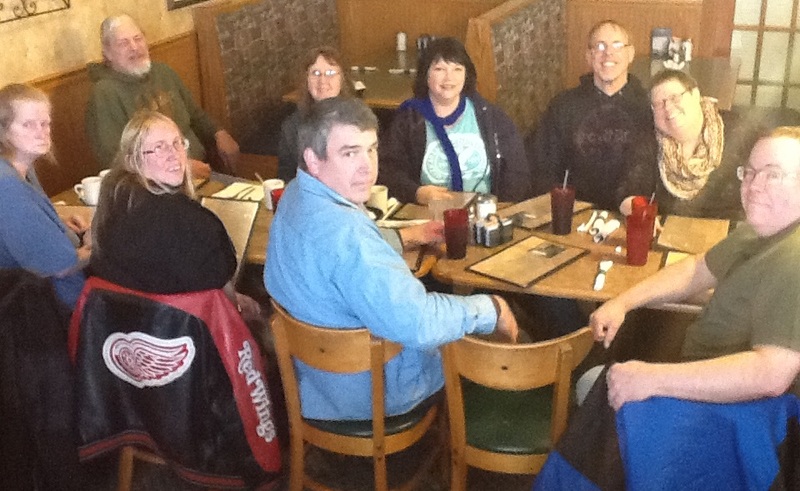 This is the 5th Spring meeting in a row for Vervalsing, all at the Friends restaurant in Geneva Ohio. We admitted that this could be a tradition now! We all agreed that Vervalsing will be Circa Paleo fans even after Circa Paleo retires (just like Beatles fans). 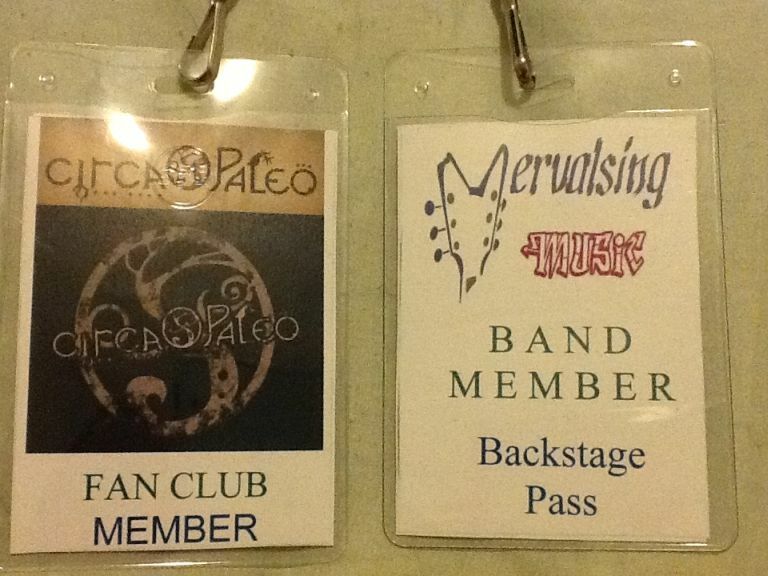 There was discussion if Vervalsing was "official" enough so there is planning to prepare membership cards showing us as Circa Paleo fans and Vervalsing band members. Somehow, the Blue Man Group sifted in to our discussion (it could be the blue bag at our table). Vervalsing is considering touring with the Blue Man Group to help promote them and to compare various forms of "experimental" music! To address the controversy of pronouncing the band name, we agreed that both pronounciations are acceptable, either "ver vuhl sing" or "ver val sing". 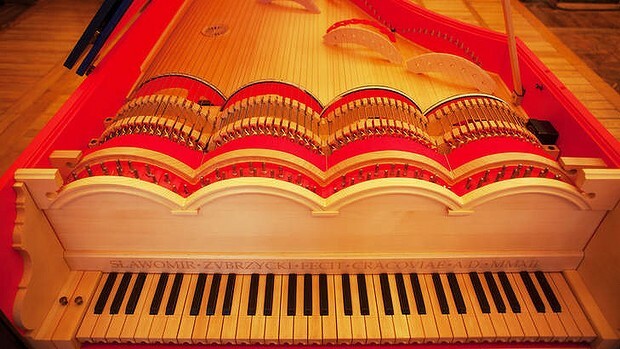 Read more about the Leo Keyboard and hear what it sounds like: Leo Keyo Link! 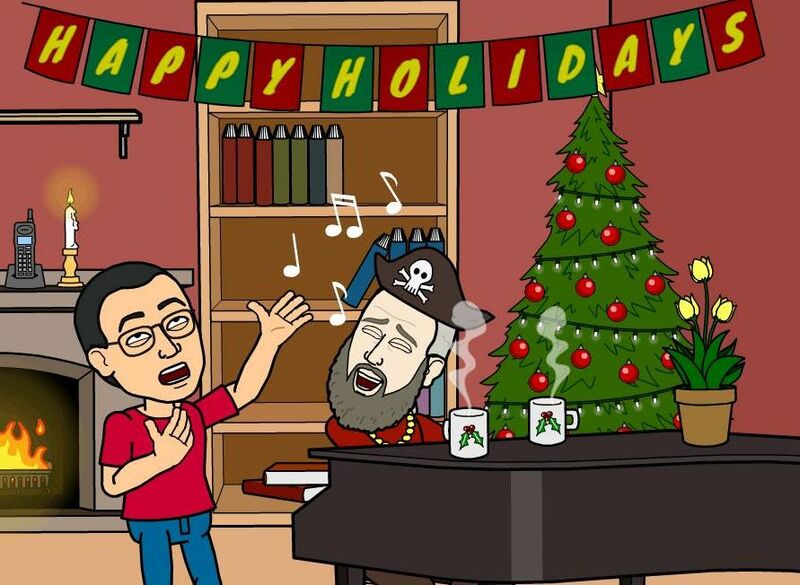 Gron Dim and Thill Bompson, rehearsing for the Holiday CD! RRRRRR location: Real Remote Renaissance Rock Rehearsal Room! Click here to read about a day in the life of Dino! During the meeting in Geneva Ohio, we enthusiastically discussed our anticipation of the upcoming Circa Paleo live CD and DVD, which will reflect their special live sound. We had various discussions with topics from Pat Cooper to Tiny Tim! Coody McWallister talked about opening recording time so that Vervalsing could record more ekaf music in the future. April 2013, Vervalsing is versatile! Not only will we have modern options for our ekaf music, like CD and MP3 avenues, we also embrace retro options! That's right, we plan to have options of Vinyl, Cassette, 8 Track, Reel to Reel (really), and even Subliminal Telepathy (only if you can believe it)! 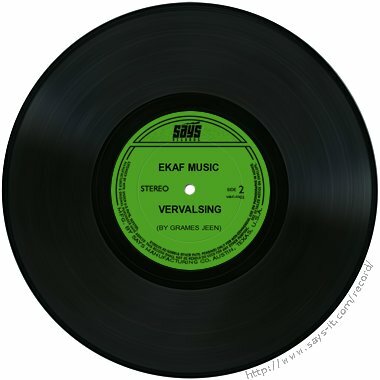 Vervalsing's Ekaf Music album, availble on vinyl! 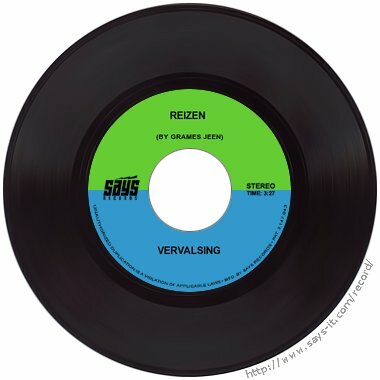 Vervalsing's Reizen single, availble on vinyl! During the meeting, Evannon Sheryday came up with an idea for a new song called "Cliffhanger" where the song would abrupty end at the middle of the song with a scream! We somehow felt like Circa Paleo was with us at the meeting in spirit. In the additional pictures at the link below, you can sort of see Circa Paleo there! Ooh, shivers up the spine on that one! 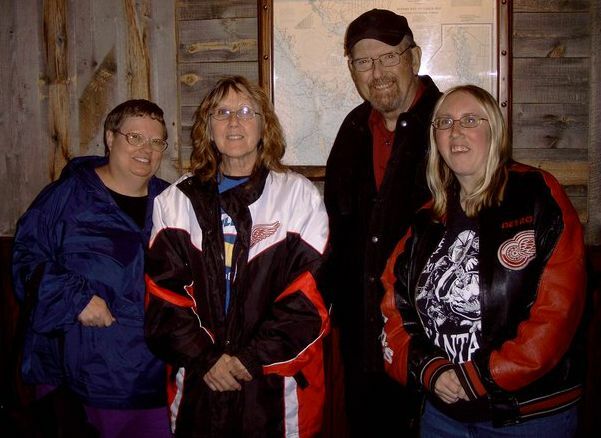 June 2011 - The above picture is the pending album cover for Vervalsing's first CD! You will notice that it is similar to the Beatles' White Album. That could just be a coincidence! 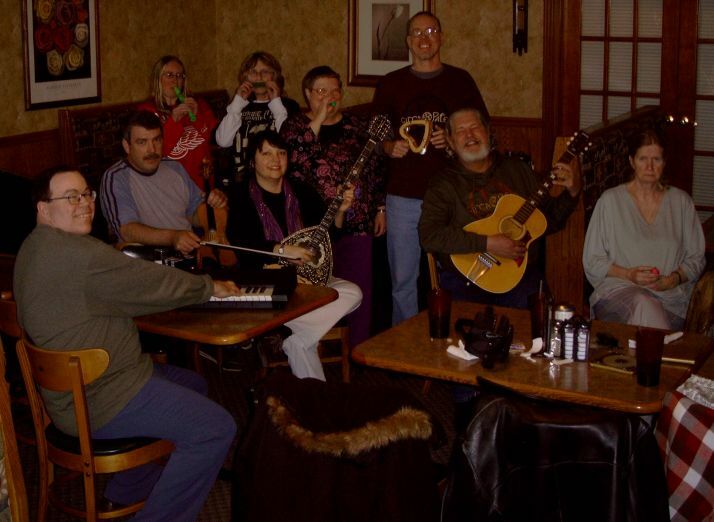 Front Row: Gron Dim at piano, Middle Row: Narry Bichols at fiddle (playing it like a cello), Narsha Michols at bouzouki, Coody McWallister at guitar, Caggie McMallister at huevo shaker (pink has the best sound), Back Row: Evannon Sheryday at horn, Evue Seryday at harmonica, Gretty Bim at siren whistle, Grames Jeen at heartshaped tambourine. A lighter version of the above picture is available at this link: Lighten On! 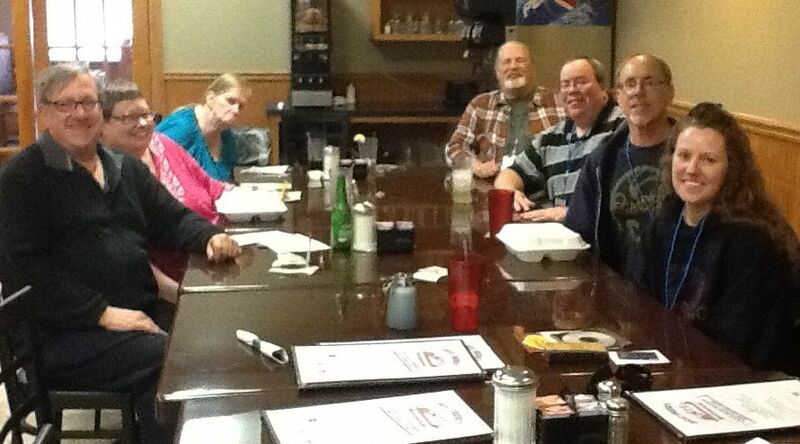 The meeting in the above picture took place in a Geneva Ohio restaurant. When Vervalsing was jamming with their instruments there, they created a song called "What Do You Do With A Drunken' Zombie Early In The Morning". The band had a stranger approach them that likes the band and called the music "soothing". This new fan is a retired teacher from the Geneva and Ashtabula Ohio schools. We will not reveal her name to protect her innocence. Vervalsing is planning their first CD and considering song titles. Grames Jeen has considered the following titles: "Kashmir Hawaiian Style" (including a tuba), "Now You Know Why We Should Be An All Instrumental Band Because You've Heard Us Sing" (we may shorten the title), and a tambourine duet by Grames Jeen and Gretty Bim called "Dueling Tambourines". Gron Dim has considered a song title of "Don't Tell Me I've Heard Enough" which is a response to anyone who questions how many times Vervalsing band members attend a Circa Paleo show. Evannon Sheryday has considered a song title of "I'm So Rhythmically Challenged (Gron's Lament)" which is a response to Gron Dim's marching to a foreign drum in music. A Biography of Vervalsing Band Member Grames Jeen is available at this link: Grames Jeen Bio! Vervalsing pictured with the Circa Paleo band in August of 2010. Front Row: Rachael (Circa Paleo), Jenny (Circa Paleo), Caggie McMallister, Gretty Bim, Narsha Michols, and Thill Bompson. Back Row: Grames Jeen, Coody McWallister, Josh (Circa Paleo), Kelly (Circa Paleo), Gron Jeen, Jay (Circa Paleo), and Narry Bichols. Vervalsing (Gretty Bim, Evue Seryday, Braul Pyant, and Evannon Sheryday) during a meeting in October of 2010. Vervalsing (Gron Dim, Gretty Bim, Evue Seryday, and Braul Pyant) during a meeting in October of 2010. 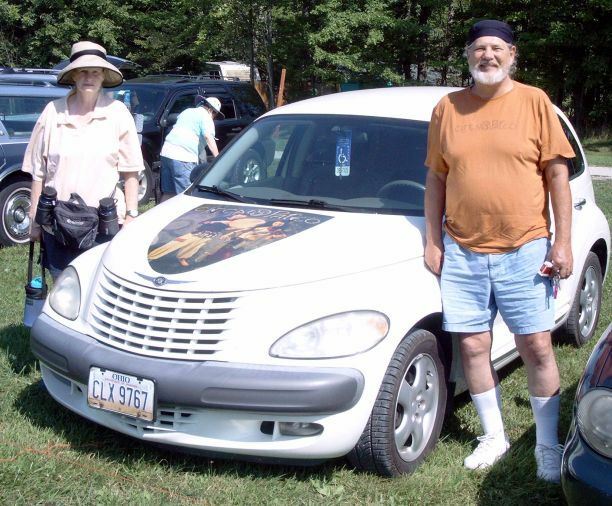 Vervalsing (Caggie McMallister and Coody McWallister) with a Circa Paleo decoration on their car in August of 2010. 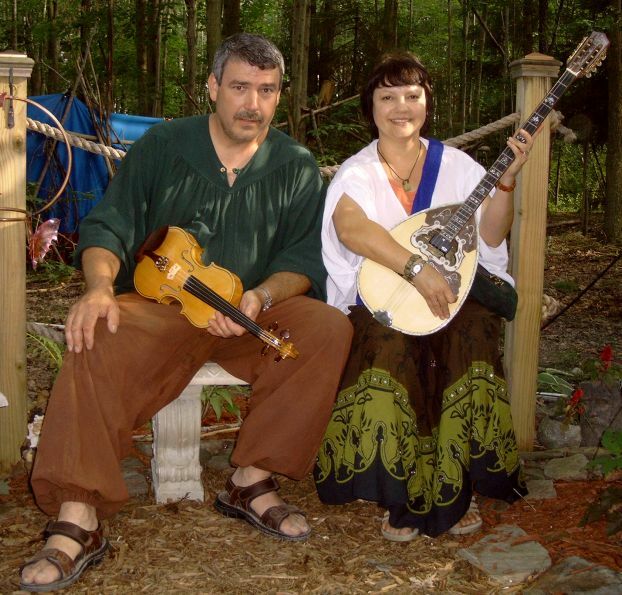 Vervalsing (Narry Bichols at Mandolin and Narsha Michols at Bouzouki) in August of 2010. 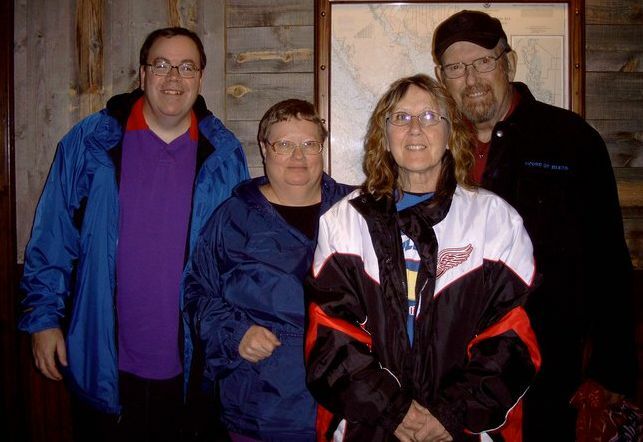 Vervalsing (Narry Bichols at Fiddle and Narsha Michols at Bouzouki) in August of 2010. 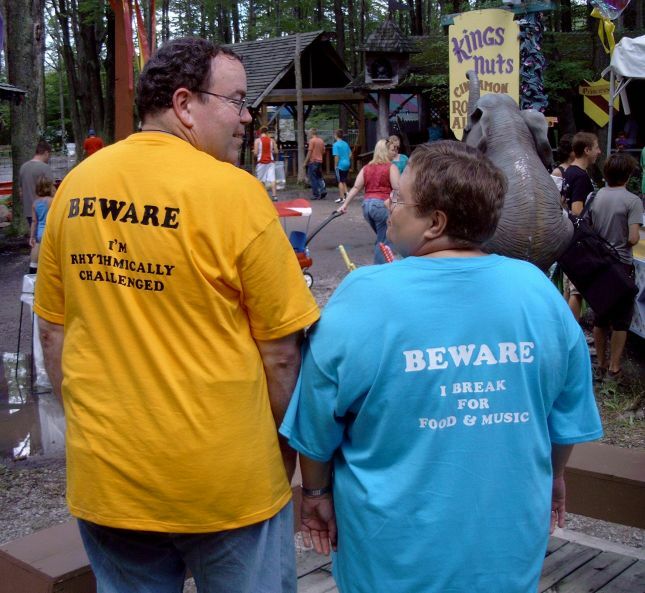 Vervalsing (Gron Dim and Gretty Bim with future song titles on their backs) in August of 2010. 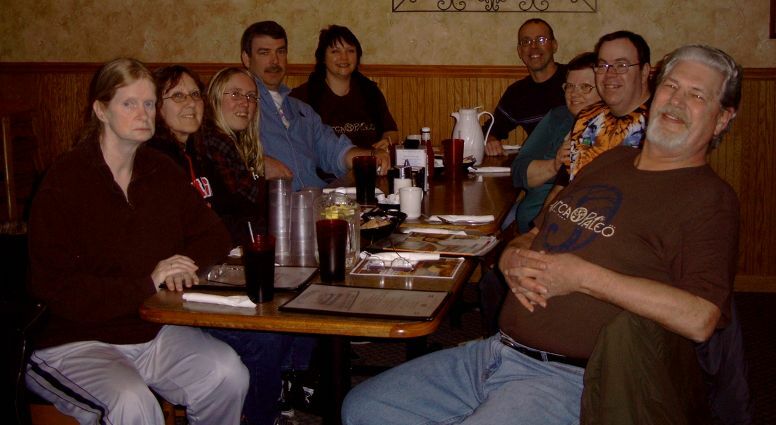 Vervalsing (Caggie McMallister, Evue Seryday, Evannon Sheryday, Narry Bichols, Narsha Michols, Grames Jeen, Gretty Bim, Gron Dim, and Coody McWallister) during a meeting in March of 2010. Thanks for visiting the Vervalsing Backstage Area!